At least that’s what Autoweek thought when they test drove a 2017 Chrysler Pacifica Touring. As far as they’re concerned, the interior and exterior design is a breath of fresh air. No longer is the minivan just a smaller, bloated, and generic bus-like vehicle. The new Pacifica has a great profile, nice proportions and there’s enough surface detail like the pinched metal to keep our attention. Chrysler has done away with the problems of old minivans; getting into the rear seats is easy and folding down the second and third rows of seats is even easier. None of those pinched fingers or pulled muscles here! The center console was designed for flexibility, meaning Chrysler can put in that handy bin in the center stack for your extra gear. But it’s not all about the looks and fancy features, the Pacifica drives well too. A small turning radius coupled with quick steering will make U-turns easy and a 3.6-liter Pentastar engine will help you accelerate even with a full van. 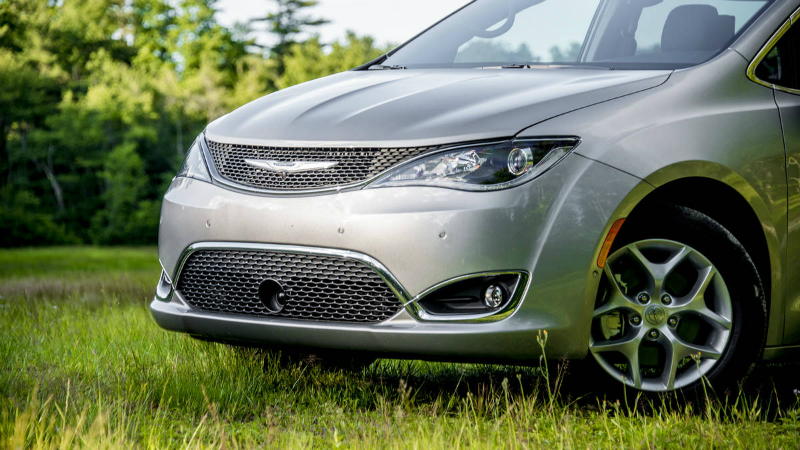 Giving the Pacifica a more car-like feel is an independent rear suspension and body roll is at a minimum. Overall, four different editors from Autoweek test drove the Chrysler Pacifica and they all have great things to say about the minivan. The only complaint they had was that minivans are still considered uncool. kentfield1951, Damoncaravanman and builttwospill like this. I just bought a Pacifica Limited two days ago and my kids love it, but as much as I read the reviews of how great it is, I wish I didn't buy it. The two major issues I have are the way the car handles when you accelerate, and the drivers seat/comfort. Every time I step on the gas the front wheels break loose, it may be the tires (18 inch). The car didn't have the wheel package because I had planned to upgrade the wheels, I don't know if it would make a difference. What I really dislike and can't believe the reviews don't complain about is the drivers seat. I feel like I'm sitting on a bar stool, there is a total lack of support and the back is hard as a piece of wood. Did anyone sit in this seat when they designed it?! If you drive aggressively in any way it feels like you will fall sideways out your seat. We bought this because we need the space, and are taking a cross country road trip. I truely can't imagine driving this cross country, I think I'll go insane. I am now stuck with this and I don't know what to do. I have been so underwhelmed by a car and the way it feels to drive. I feel like I am driving a cheap rental car. The two issues you sited should have shown up on your first test drive. What is your preferred minivan?